The site of the MassDOT District 3 New Administration Building is on Plantation Parkway near Lake Quinsigamond and Lincoln Street. 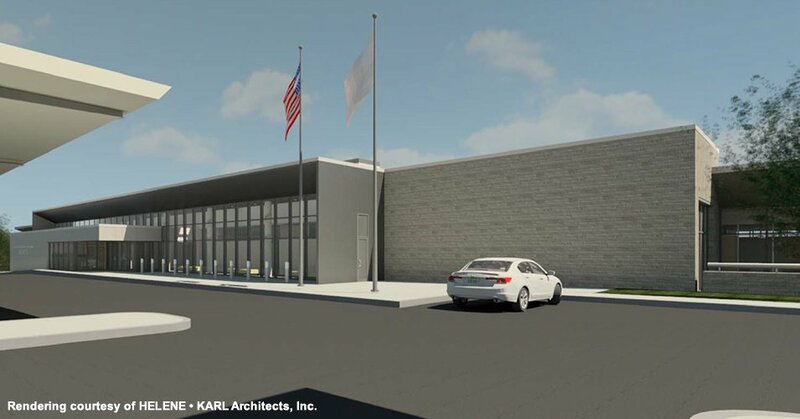 The new facility will replace the existing MassDOT District 3 Office Building which is outdated and undersized and is located approximately 1-1/4 miles away from the state-of-the-art new facility. The site is part of a land swap agreement with UMASS Medical Center which desires to expand its campus and create a medical clinic for United States military veterans. A new four-story, 78,000 square-foot Net Zero Energy Building (NZEB). On-site power generation for all building systems provided by photovoltaic panels mounted on the building. Energy-efficient systems and equipment, low water usage fixtures, and a highly insulated building envelope. Modern offices and training spaces for several MassDOT departments including the backup Highway Operations Center (HOC). Three-bay garage for vehicle maintenance. Generator backup power to provide continuous operation during power outages and emergencies. Staff, visitor and fleet parking.